At Dara School we welcome enquiries for enrolment from prospective students. For new students to be considered for enrolment at the start of the school year 2019, the submission deadline for Applications is Friday the 23rd November 2018, at the latest. Please note, the enrolment numbers for 2019 are limited. Please complete an Application form and return to Dara School. The application documentation is assessed by a panel comprising of our School Principal and a teacher. If the panel decides that the application merits an interview, the School Principal will invite the potential Dara School student and their parents/caregivers to an interview. Parents/caregivers and the student attend the interview with the panel, comprising the School Principal and another Dara School teacher. The interview is expected to last approximately one hour. Families are encouraged to bring a portfolio of any additional relevant documents not yet submitted, to the interview. After the interview with the parents/caregivers and the student, a short, friendly one-on-one interview between the student and the panel will take place. Following the interview, parents/caregivers may be asked for additional information in support of the application. Following the interview, you will be notified by a letter from Dara School within 14 days of the interview date, whether or not enrolment will be offered for the student. An enrolment form will be sent to successful applicants. 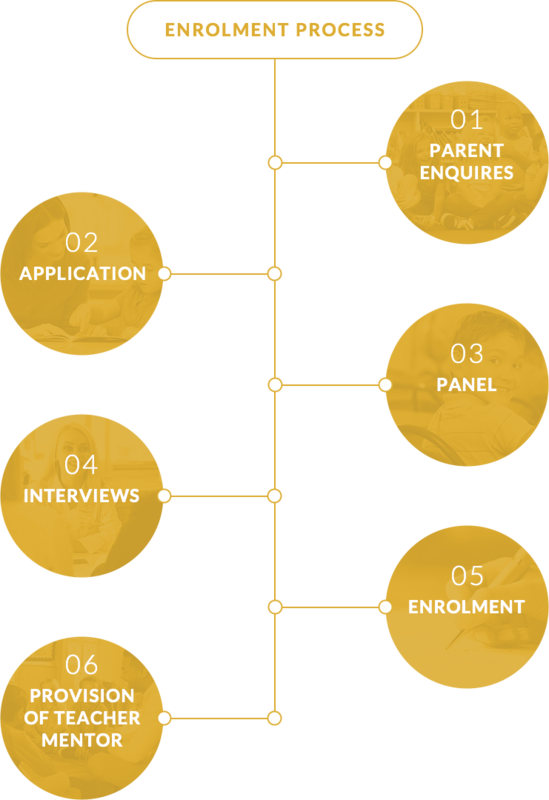 Should the family/caregivers accept the enrolment offer, it is necessary for both parents/caregivers (if possible) to sign and return the ‘Enrolment Agreement’ to Dara School with the enrolment deposit in order to secure a place at Dara School.